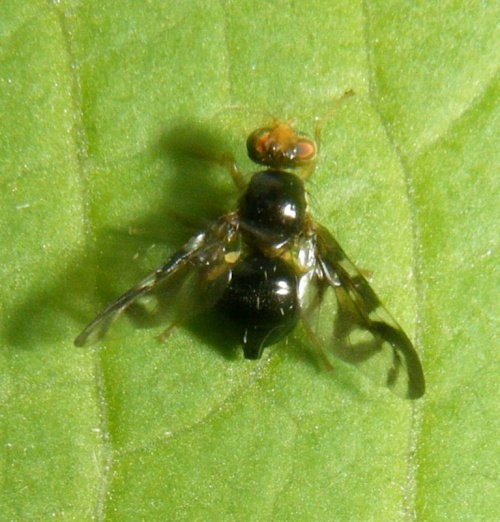 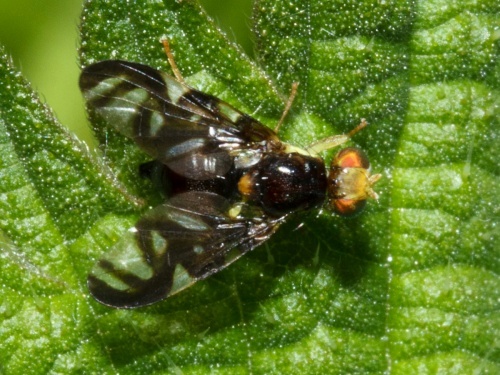 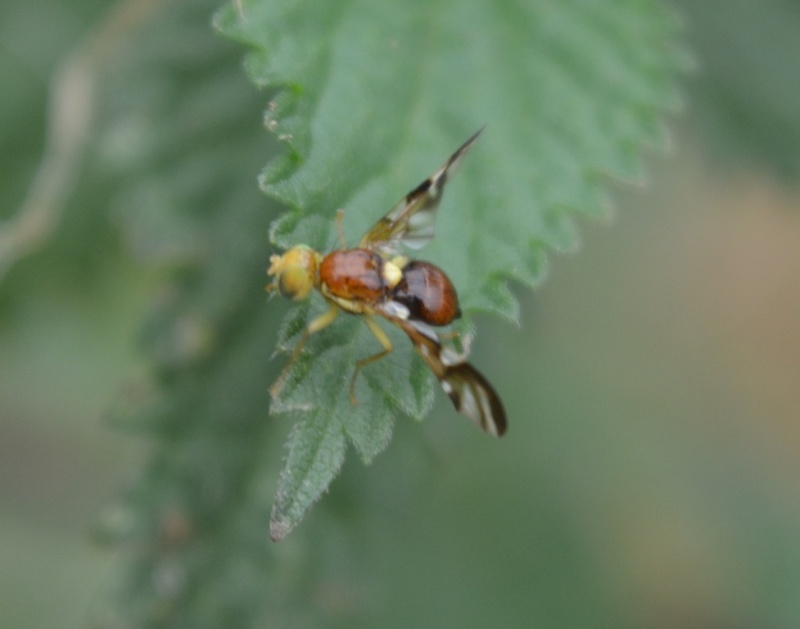 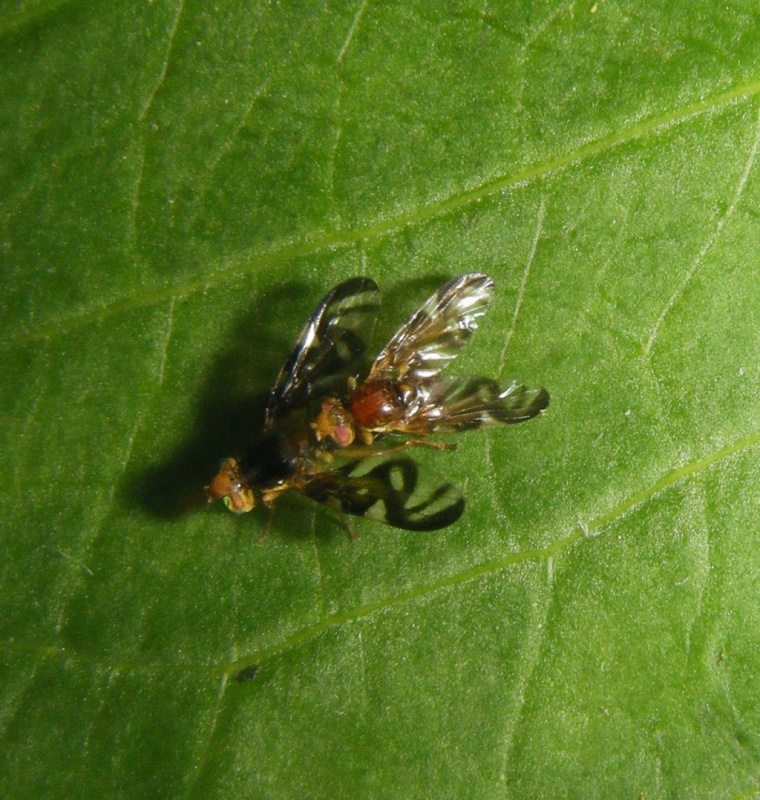 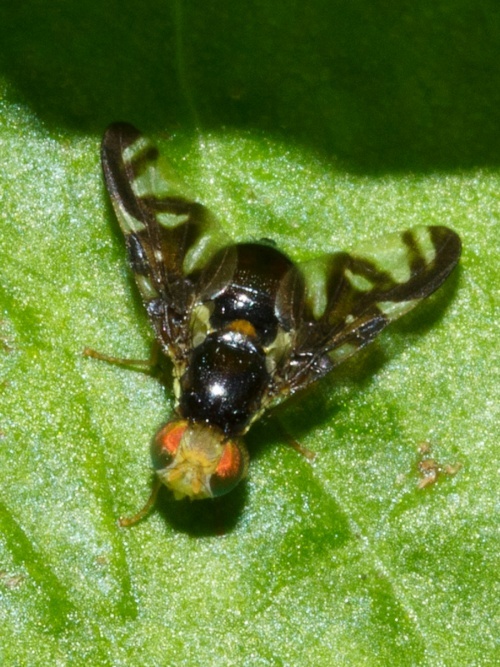 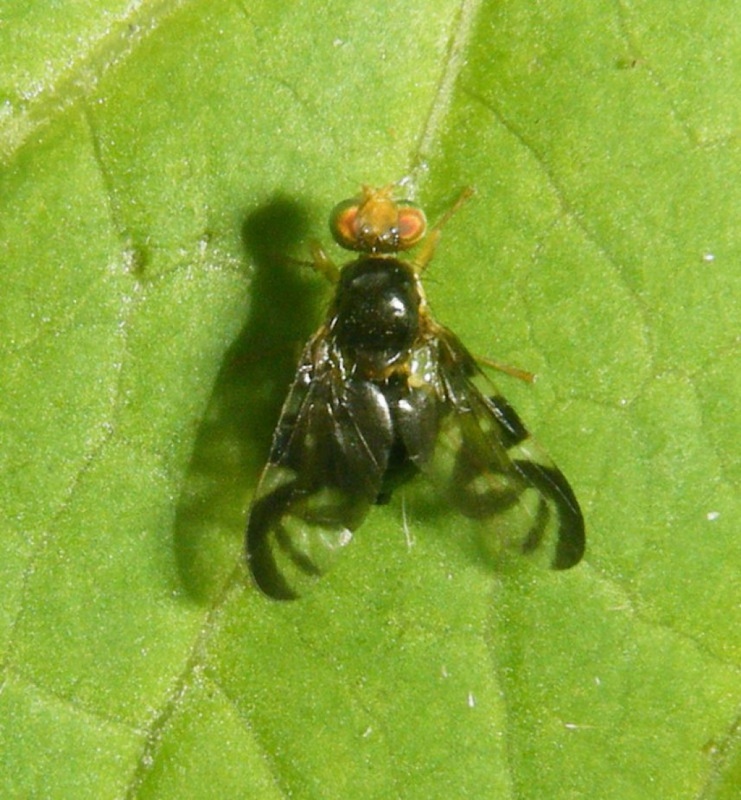 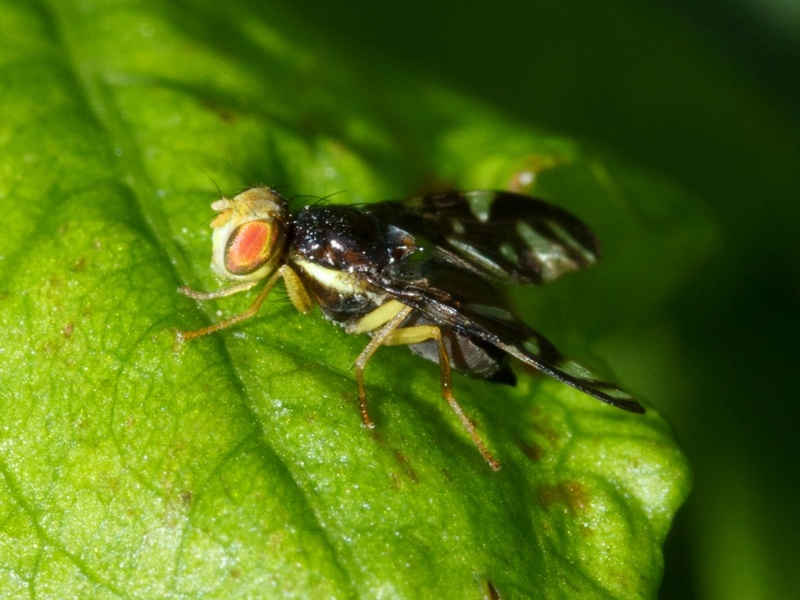 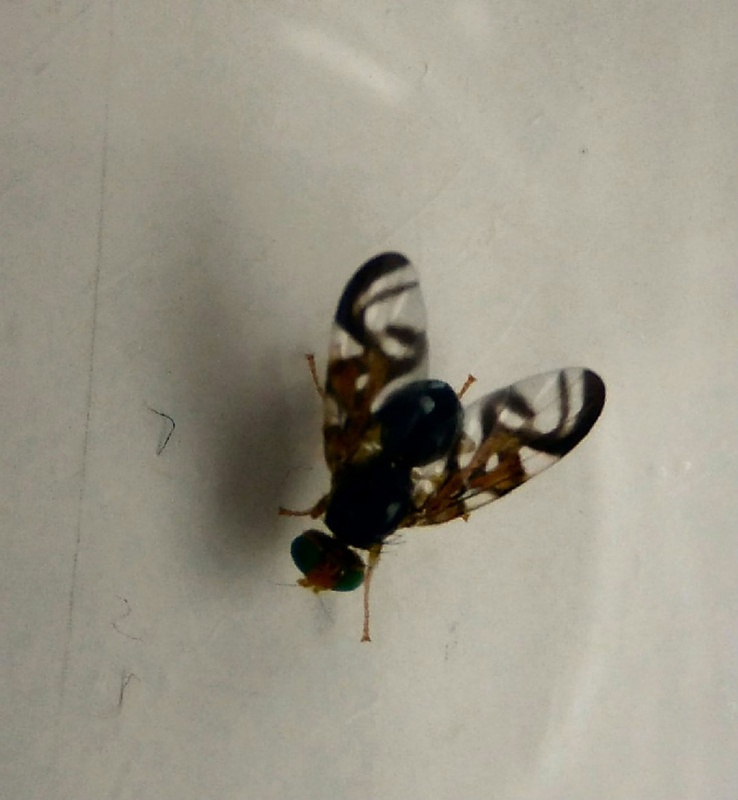 This is a small picture wing fruit fly which has very heavily marked with brown patterning. 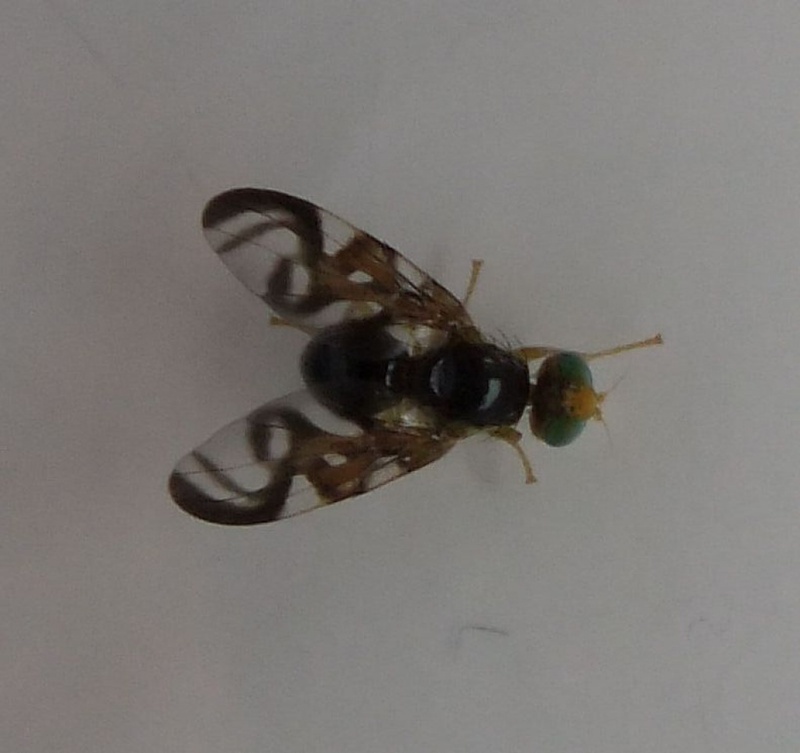 It has green eyes. Gardens and allotments where Celery and Parsnips are grown. Larvae cause damage by mining the leaves of Celery and Parsnips.